The invisible world of angels is so often overlooked, though it has been present since before the dawn of Creation, offering attentive service and protection to humankind. Based on Catholic teaching, Angels for Kids offers proof of the true existence of angels while dispelling prevalent contemporary myths. 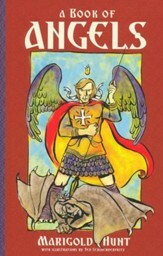 This inspiring book will open the eyes and hearts of youth and their families to a greater awareness of the unseen world, as well as provide warm encouragement to keep company with the incredible angelic friends who unceasingly glorify God and who have been a significant part of salvation history; protecting Jesus throughout His life, announcing heaven's plans, and guiding and protecting the faithful. 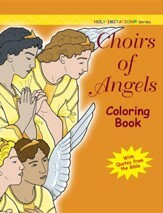 A chapter of special prayers to the angels completes the book. "Angels are our protectors, companions, and God's messengers. In Angels for Kids, Donna-Marie Cooper O'Boyle shares the important role they play in our lives in language that is compelling and at the same time accessible for little souls. Buy this book for your kids, savor some reading time along with them, and you'll be amazed by how much you'll learn too!" All children should grow up knowing the companionship and powerful help of the holy angels. All children should grow up knowing the truth that this book teaches. It makes for a happier, more confident life. God created the angels to serve us as they glorify Him. We show our gratitude by enjoying their friendship, and Donna-Marie tells us how. "What a delightful little book! 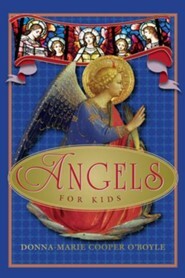 Angels For Kids is wonderful in its simplicity and, yet, profound in its content and impact. 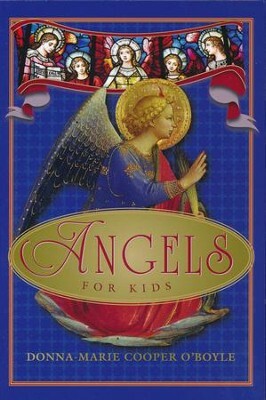 Children of all ages will greatly benefit from this little catechesis on the angels. This book is truly a gem, containing both beautiful prayers and childlike insights, and Donna-Marie Cooper O'Boyle has outdone herself in offering to all God's children this angelic treasury!" " Science calls us to believe in the unseeable – black holes in space, which cannot ever be seen because they absorb all light before it can reflect back to an observer. They believe in black holes because of anomalous behavior in space. So also, Christians, like Jews, Muslims, and many other religious people around the world and throughout history believe in angels, not only because of anomalous behaviors we experience in life's events but also because of God's Revelation in Scripture. We do well to introduce children to these facts, along with astronomical facts, to prepare them for a mature spiritual life. 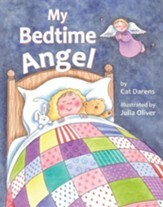 This book is such an introduction, and parents might be reminded of their own angels as they read with their children." 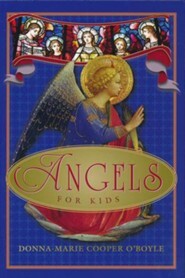 "Angels for Kids by Donna-Marie Cooper O'Boyle surveys the whole Bible in a touching way . 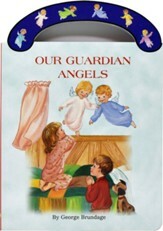 The book reminds its young readers that they are always lovingly cared for by God and protected from every kind of harm." Donna-Marie Cooper O’Boyle is an award-winning author and the EWTN television host of “Everyday Blessings for Catholic Moms.” A Catholic wife and mother of five, she was noted as one of the Top Ten Most Fascinating Catholics in 2009 by Faith & Family Live and enjoyed a decade-long friendship with Blessed Mother Teresa of Calcutta. I'm the author/artist and I want to review Angels for Kids.